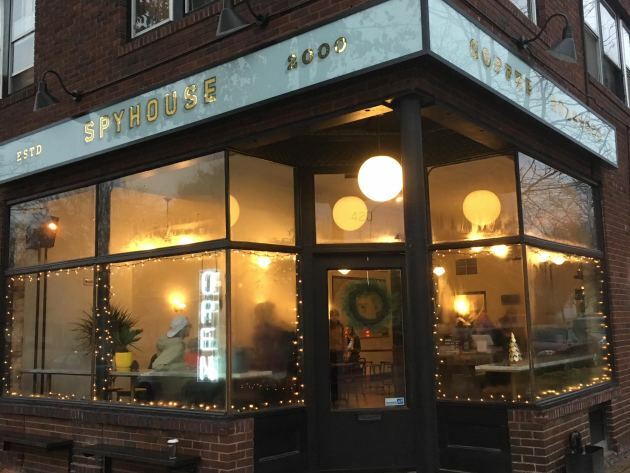 St. Paul’s first Spyhouse Coffee opened for business this morning promptly at 6 a.m. But it seems as if the rest of the neighborhood is filled with caffeine-seeking early risers. 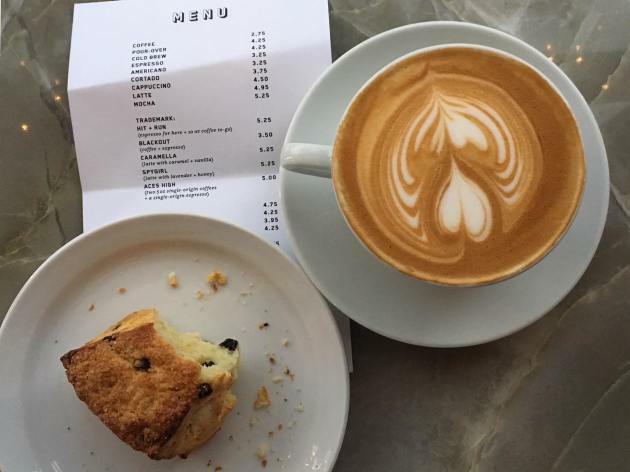 By sunrise, the place was doing a brisk business, with smartphone-wielding customers snapping images left and right. 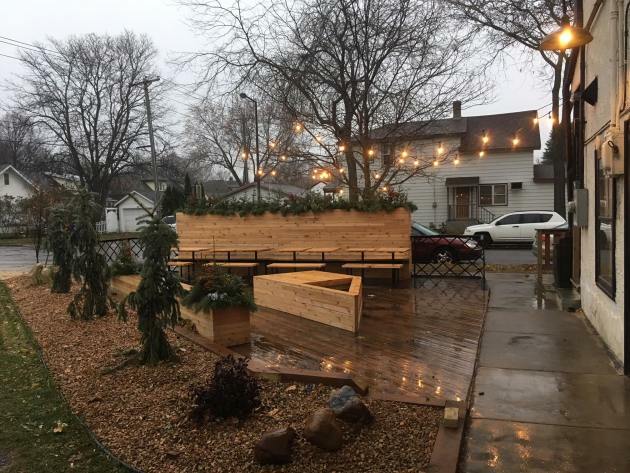 By noon, the corner of Snelling and Palace is surely going to be the 651’s Instagram hot spot, and then some. And why not? Like all Spyhouse locations – there are four others, all in Minneapolis – it’s a style-conscious space, one that takes full advantage of its 1930s-era storefront roots (the building once housed a neighborhood market and was most recently an antiques store), finished with envy-inducing marble counters trimmed in trendy brass, and plenty of Johnson's sharp-eyed collection of collectibles. Yeah, there's a reason Spyhouse has collected nearly 33,000 Instagram followers. 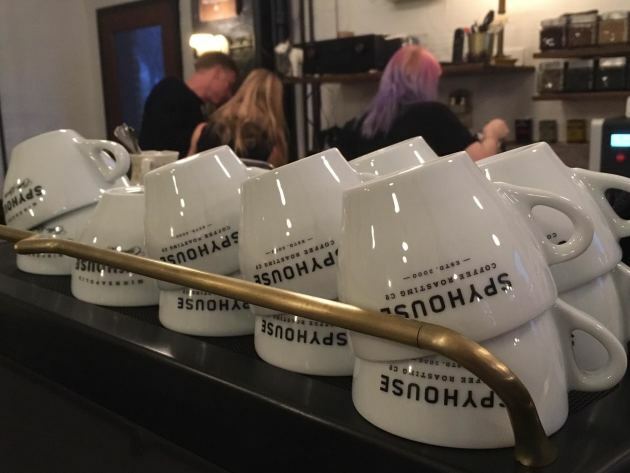 The usual Spyhouse menu is in play, with beverages fashioned from beans roasted in Johnson’s northeast Minneapolis plant. The counter boasts a full complement of beautiful goodies from Sarah Botcher’s Black Walnut Bakery: scones, croissants, cookies, muffins and other pastries. 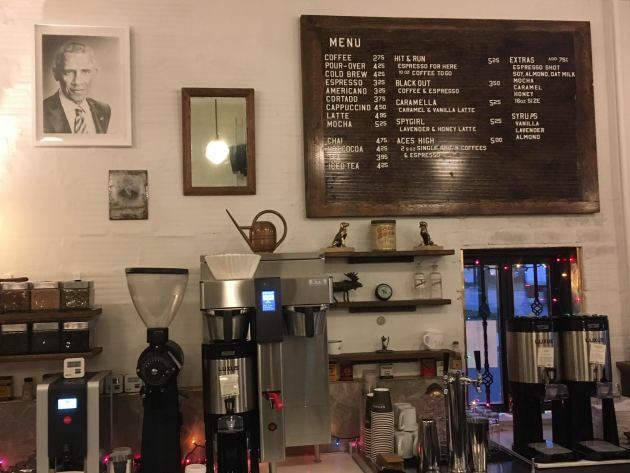 The cozy 42-seat coffeehouse, the smallest in Johnson’s orbit, also features a backyard patio, one that’s bound to be popular when the weather cooperates. Find it at 420 Snelling Av. S. in St. Paul, about six blocks south of the Macalester College campus.